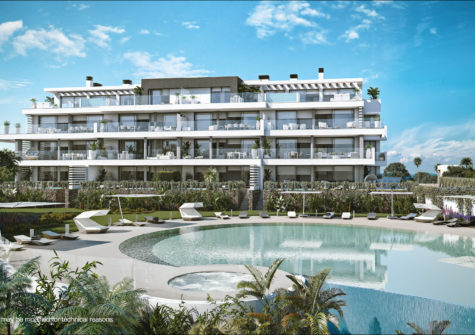 Beautifully styled contemporary apartments and sky villas, 21st century amenities, extensive green areas and a panoramic overview of the Mediterranean sea is what sets this development apart. 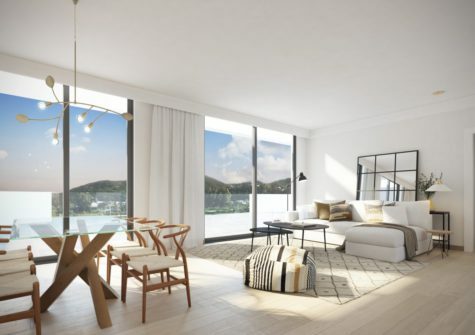 Jardines de Las Lagunas, an innovative and elegant promotion of 1, 2 and 3 bedroom apartments and penthouses with swimming pool, private parking and located in a desired location with an unbeatable commercial offer. When entering your email we keep you posted. Design & development - KUDU CONCEPTS. All rights reserved.